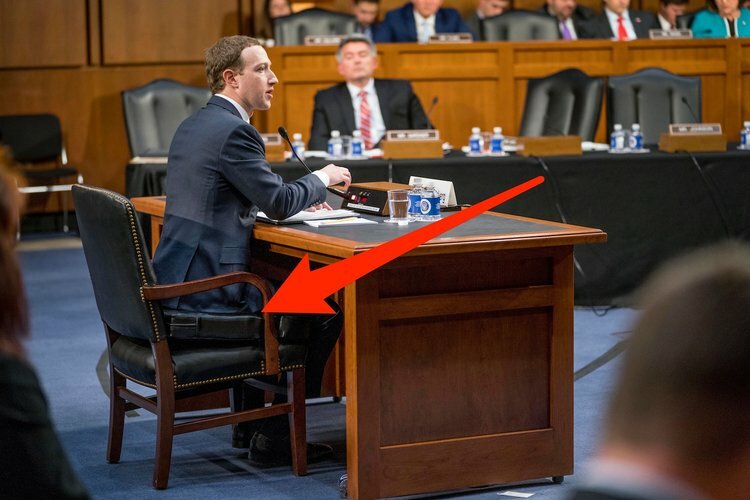 While liberal media is praising Facebook founder and CEO Mark Zuckerg's two day testimony in front of the Senate and the House of Representatives, and critics have a bit of fun trolling him over his use of a "booster seat," conservatives and Independent Media watched for questions and answers to the blatant censorship practices by Facebook employees. The good news is that it was Mark Zuckerberg who was put on the hot seat, not some lacky or representative, which forced much more attention to the proceedings. The Senate and the House wanted to question Zuckerberg on the issue of data breaches, where outside entities were able to obtain the data of Facebook users, those on their friends lists, family, and a whole host of other private data, but finally having Zuckerberg himself in front of them, Republicans in both the House and the Senate also brought up the censoring of conservatives and Independent Media that has been documented, some using charts and graphs proving that FB's algorithms were censoring people based on their political ideology. This is good news on multiple fronts. First: Those that watch or read only liberal MSM were finally informed that there is documentation and studies showing that Facebook created algorithms that are set up to be biased against conservative views. Previously when conservatives reported this, the MSM treated it as a "conspiracy theory," acting like those algorithms were unbiased and claiming that conservatives and Independent media that had been reporting it, were lying or overreacting. That audience now knows, without a doubt, that the MSM lied to them. Not only is it a real problem, but there are studies, documentation, charts and graphs proving it is true. While the platform being questioned was Facebook and their practices, Independent Media has documented the same type of censorship from a number of big tech entities and social media platforms, such as Google's YouTube, Google's search engine and their practice of down ranking and blacklisting conservative websites, and manipulating their results, and Twitter by way of shadow bans, account terminations, and warnings of conservative opinions being "sensitive content." Second: Once Silicon Valley's bias was fully exposed in such a public way to the masses, whereas before only those that read Independent Media were fully aware of the extent of the censorship war being waged against conservatives, big tech and social media platforms started running scared. 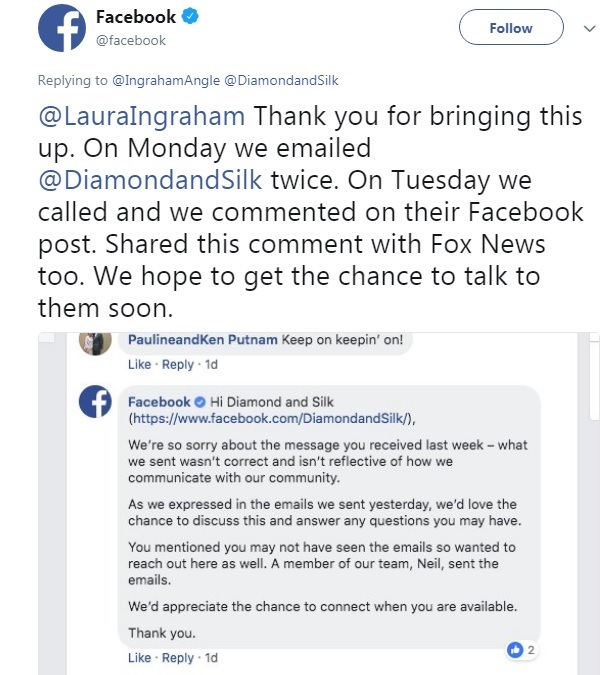 The next video shows how Facebook is preventing a user from changing his settings in order to "follow" Diamond & Silk first to see their content on his feed. The video creator then provides a montage of Senators questioning Zuckerberg on his companies censorship practices, along with some public responses from Diamond & Silk. Related: Why was Ted Cruz grilling Mark Zuckerberg on Palmer Luckey? "Diamond & Silk" are social media personalities who generated headlines when they exposed FB's attacks against the two African American, vocal Trump supporters, by labeling them "unsafe to the community as seen above." After Zuckerberg was confronted, many times over his two days of testimony, all of a sudden Facebook was racing to apologize to them, with Zuckerberg claiming it was an "enforcement error," and Facebook employees leaving the duo multiple messages on both Twitter and Facebook to discuss the issue with the two women, after months of manipulating their feed to prevent them from being seen by their 1.2 million followers. 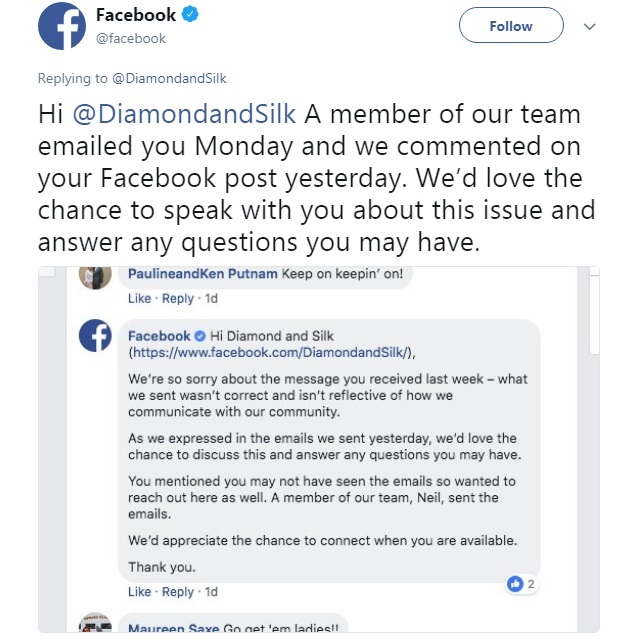 This frantic attempt to get in touch with Diamond & Silk, after months of them attempting to communicate with Facebook over this issue, just happened to occur after multiple conservative Senators confronted Zuckerberg, televised live, about their censorship practices, using Diamond & Silk as one of the examples proving their point. Facebook is not the only platform accused of blatant censorship either, and despite it being Zuckerberg and his website on the hot seat, other tech giants apparently understand that now that the general public knows that Facebook is censoring news based on their own liberal ideology, that same public will now be aware that the claims against other platforms, services and social media sites, is true as well. Unless it is also a "coincidence" that during Zuckerberg's second day of testimony, after a month of his account having been terminated by Google's YouTube, Mike Adams' Health Ranger account was miraculously restored, without explanation. Sam Biddle over at the Intercept highlights that Mark Zuckerberg is either "ignorant or misleading Congress," as time after time Zuckerberg claimed he wasn't "familiar," he "didn't know," or couldn't "remember," certain policies or discussions regarding things that as the founder and CEO of Facebook since its inception, he should have certainly been more knowledgeable about. Biddle points out that in just his first day of testimony in front of Senators, Zuckerberg assured them 13 different times his "team" would have to "follow up" with them to get them the information that he claimed he "didn't know," before Biddle asks "Is it really possible that the CEO of a company could be so unaware of what his company does from day to day? Again, these weren’t cases about unlikely scenarios or what-ifs, but the fundamentals of the business. So again, Zuckerberg seems to have either lied to Congress (by omission, perhaps) or not have very much beyond a Wikipedia level of familiarity with his own company." Below is a montage of Zuckerberg lack of knowledge about the 'monster' he created, compliments of The Daily Caller. That is a moment that had the world been silent, we may have heard the collective "heads banging against desks" across the country of every Facebook lawyer, including Zuckerberg's personal attorney, and perhaps those at other tech companies across the internet that watched the proceedings to see which way the political winds would blow in regards to their censorship practices and data mining. Zuckerberg may have just opened himself up to a world of legal hurt. Platforms are generally not held legally responsible for the content posted on those platforms — so liability issues ranging from copyright violation to slander aren’t serious concerns for platforms. You can’t sue AT&T if somebody slanders you on a telephone call carried by their satellites. But that’s not the case with publishers. Publishers are responsible for the content that is added to their platforms. The Daily Wire bears legal liability for the content that goes up at The Daily Wire. Another point that I would highlight is that websites that are considered "modern public squares," as social media outlets are now considered, enjoy protections under Section 230 of the Communication Decency Act, as long as they are a "neutral conduit." 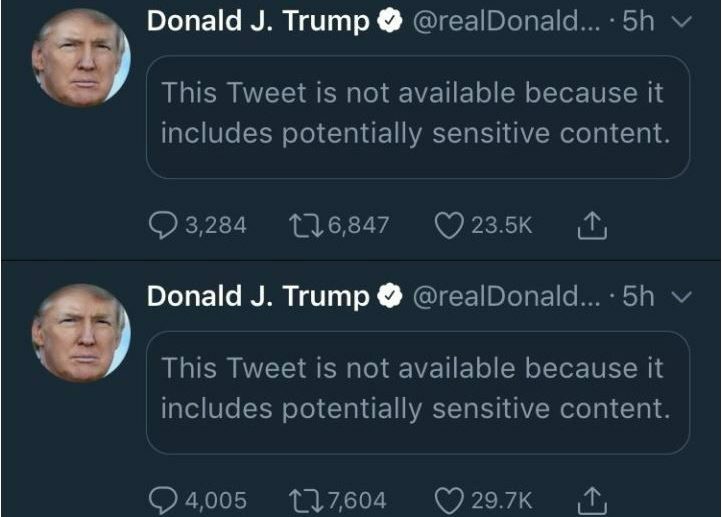 As such they are protected from liability, technically termed as having "liability immunity," for content that a third party has put upon their website. 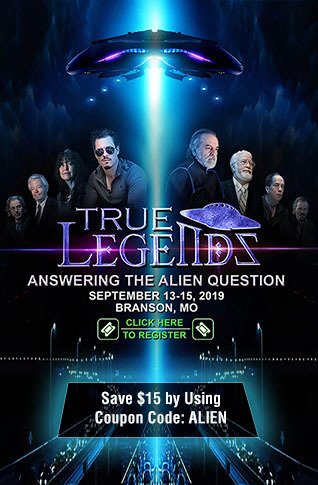 Their legal defense is quite literally claiming that they are not responsible for the content put on their websites by third parties. Zuckerberg just destroyed that defense. The final clip to which we feel is noteworthy due to Zuckerberg's consistent attempts over his two days of testimony to associate "Terrorist" content being removed, with "hate speech," and Senator Ben Sasse directly asked Zuckerberg to define hate speech, after expressing his discomfort with the Facebook founder and CEO's trying to somehow tie the two together. Zuckerberg was unable to define the term, yet he thinks his team can teach it to AI?